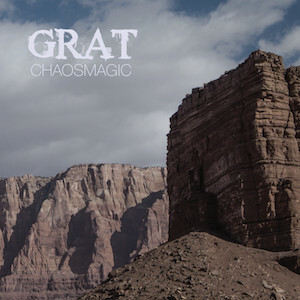 Together with Henning Pertiet we released an album called CHAOSMAGIC under the bandname GRAT. It's 2x Buchla 200e and available to listen and preorder on Bandcamp. iTunes et al will follow in due time). We created three long, dark and experimental ambient tracks with very different approaches to each of them. Some of it was recorded all live, other parts were assembled from raw recordings. I'm very curious to your feedback, if you are inclined to listen now. We're doing a "preorder" since we don't have the CDs back from manufacturing -- once they are here, the whole thing will go live. We are also going on tour in Germany and the Netherlands (well, Amsterdam, at least), so please come on by and talk to us if you like, we're happy to meet fellow wigglers. --also if you like what you hear and would like to book us, please get in touch! Henning uses a 251e for sequencing while I'm using a bananafied Doepfer Dark Time. Of course please feel free to ask any technical questions you might have! looking forward to hear what you think of it! 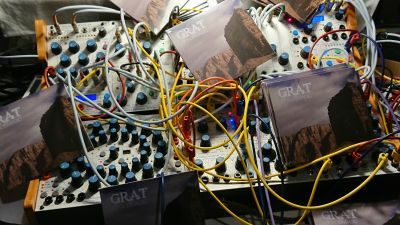 (PS: Last year around this time, I released my solo album "HEART MURMUR" (http://kainiggemann.bandcamp.com) that is all Buchla, thanks for all your support for that! The track you have available to listen to is dope. So many directions you took it over the course of the song. Were you two together during the creation process for that particular one? Oh yeah, I'll buy the h*** out of this when I get home. Thanks for the heads up. Are you still using the same system as on Heart Murmur, Kai? yes, that track was recorded as part of a long session where we improvised together after preparing a few parts and ideas, then just hit record. I believe this was our second take, and it's only edited a bit (there were some lame bits and it wouldn't have fit on the CD otherwise..
thank you for your support, Thorsten!! I really appreciate it! Really looking forward to give the first track a listen on a proper system today. (in other words: we got them back from manufacturing and I am so excited..!